With propellers that can lop your fingers off and batteries that can explode and burn your house down, who in their right mind would fly a quadcopter? Well, that might be a bit of an exaggeration, but our quadcopters can certainly cause some damage if not treated with respect. Search through some multicopter groups, and you will see pictures of sliced fingers, the aftermath of bad LiPo fires, and wallets that have taken a beating beyond repair. 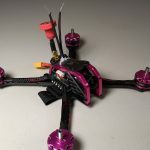 This article aims to cover the quadcopter safety basics you need to know. Some of the topics are covered in greater detail in other articles, so we also provided links to those as well. 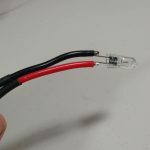 Use this post as a jumping off point to ensure you operate your quadcopter safely – both in the air and on the ground! Remove your props when working on your quadcopter! The most obvious safety point to cover first must be the propellers. In the case of our racing quads, four of these fast-rotating hunks of sharp plastic keep us airborne. Everyone respects moving propellers; but we are constantly shocked at how many people work on a powered quad with the propellers still on. You may think you know how to keep your quadcopter disarmed, but the simple fact is that we are all human and mistakes happen. There are any number of ways you can lose control, be it dropping your controller, screwing up the FC programming, or simply being the first pour soul to run into a new software bug. All three have happened to us. The morale of the story is that you need to have a backup plan. At the field, you should always power down your quadcopter before performing any spot repairs to your drone. Even for a simple prop swap, you should always disconnect the battery before breaking out the wrench. It also pays to be vigilant around any quadcopter with the battery plugged in. Once you’ve powered a quadcopter up, treat it like a loaded weapon. Keep your fingers away from the blade arc, or firmly hold the propellers with your hand (motors that are not spinning cannot hurt you). Need to test the rotation of your motors? Don’t attach a fully tightened prop! You could hand tighten a screw partially and CAREFULLY test the rotation without causing major damage. On the bench, you should always remove the props completely when repairing or modifying your quadcopter. This is especially important when updating firmware or making changes in software. Remember that you are interfacing directly with the Flight Controller. During power cycles or the updating process, the signals going to the ESCs are not being actively controlled. For this reason a spurious signal can (and often does) cause a motor to power up. 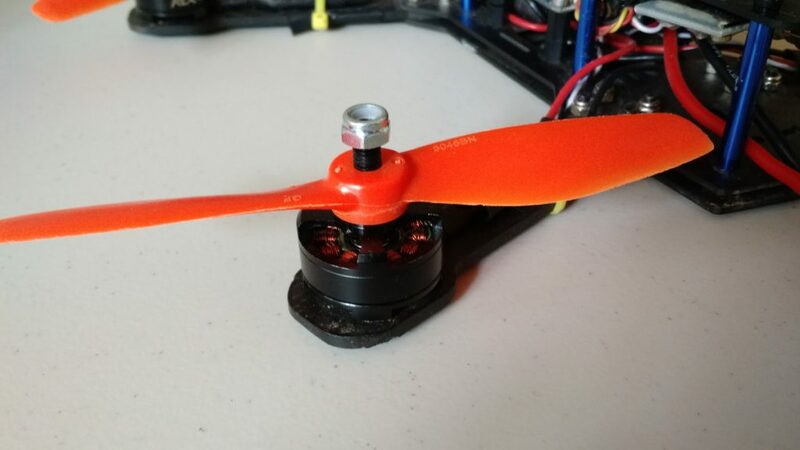 We have heard too many stories of motors spinning up while plugged into Betaflight or Cleanflight, and the attached propellers causing needless damage. Setup a failsafe and turn your transmitter on before plugging anything in! Always make sure that you have a failsafe setup before flying your quadcopter. A failsafe basically kills the motors if the quadcopter’s RC receiver goes out of range of your radio transmitter. Thus, the quadcopter would drop out of the sky, rather than flying off uncontrollably. Obviously, a falling quadcopter isn’t the safest thing in the world, however it is preferential to an uncontrolled flying object. For the most part, you are going to need to setup your failsafe when undergoing your software setup. If you need help with this, check out our complete software guide and our radio transmitter setup guide for more details. Many racing events will check your failsafe before you are allowed to fly. Even if you are not doing this for your own safety, you should set-up a failsafe so you can fly with others. Setting up the failsafe in our quadcopter software setup video. Notice the removed props? Along this line of thinking, always turn your transmitter on first before powering up your quadcopter. You want the radio transmitter to always be in contact with your receiver. If you forgot to set-up the failsafe or the configuration got wiped for some reason, bad things can happen. Especially if your props are on! This may seem like common sense, but make sure to choose a flying site appropriate for how you plan to fly. Flying freestyle wildly in a crowded park likely isn’t going to win you any friends. Similarly, setting up a race course in a private office park will probably attract the attention of private security guards. Moreover, there are certain places you absolutely should not fly without express permission. A few examples are near airports, national parks, national monuments and highly built up urban areas. We have covered safe flying location strategies in detail across this site, so feel free to browse through any of the below articles if you have any questions or need more information! 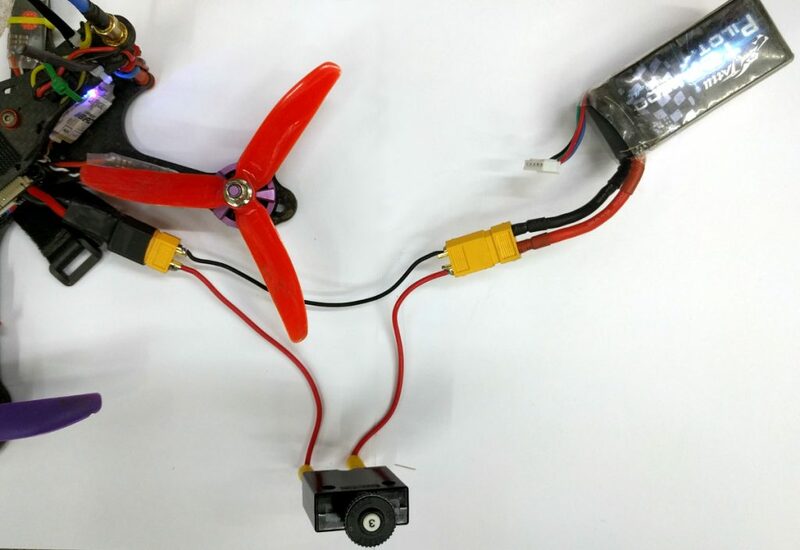 The LiPo batteries that power our quadcopters can be dangerous if mistreated. At the field, check if any batteries show signs of puffing before and after use. Puffing is a term commonly used to describe a battery that has grown in size (puffed up) and become unstable. Similarly, check to see if the balance leads have been cut or broken. 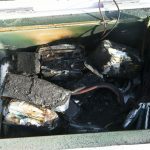 Damaged batteries should not be flown or charged, as further stress could cause them to ignite! Similarly, you need to be careful when charging your batteries at home. We recommend storing batteries discharged after a day of flying. Try to refrain from storing a fully charged battery if possible! Inspect batteries prior to charging, and setup your charger to use the correct settings for your battery. Moreover, make sure that you remain near any batteries that are charging. Never leave charging batteries unattended! We also recommend having a fire extinguisher on hand in case something goes wrong. However, be smart if you are forced to use one. Most fire extinguishers will not put out an electrical battery fire, but rather should be used to prevent the flames from spreading. If you want to put out a LiPo fire, keep a bucket of dry sand near your charging area to smother the fire. Whatever you do, never pour water on a Lithium Battery fire – you will only stoke the flames! 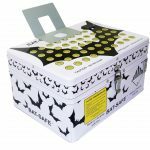 Finally, have a safe place to store your LiPos when not in use. 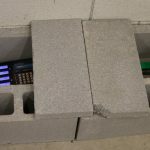 We like using an ammo box with vent holes or a cinderblock bunker on concrete for storing our batteries. We have a wide variety of articles on battery safety that you can check out below! Carbon fiber dust is toxic! Wear a mask! If you are making modifications to the frame, namely sanding or filing away carbon fiber, you should always wear a mask. Carbon fiber dust is toxic, and can cause long term issues if inhaled. Don’t have a mask? We use respirators designed for spray paint, but a simple face mask should be more then enough protection. Don’t want to buy a mask? Be sure to work outside in a well-ventilated area or grind/sand the carbon fiber under running water to prevent the dust from becoming airborne. Protect your gear, and yourself, by using a smoke stopper and multimeter when working with your quadcopter. While you are unlikely to cause a raging inferno from a simple electrical short, getting into the habit of testing your gear before plugging it in can save you a lot of money in broken equipment. Furthermore, you are less likely to puff a battery on the bench, or send sparks flying, if you use safety precautions like a smoke stopper. A smoke stopper can help prevent needless damage to your gear! Good habits help prevent big mistakes, so when you remove your props at the bench, be sure to also plug in a smoke stopper. This will help prevent forgetting to attach one when plugging in a battery for testing later. 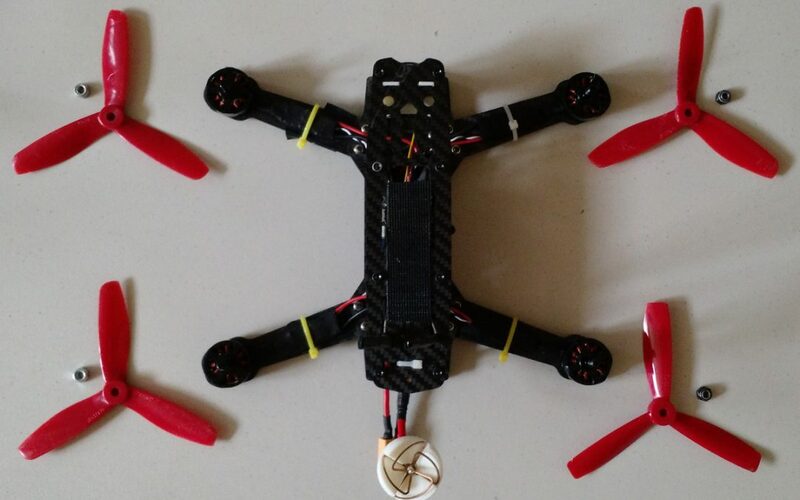 Have any more tips on quadcopter safety? Let us know! Anything we missed? Feel free to leave us a comment so we can keep adding to this article. Flying quadcopters is a fun hobby, but these little machines can be dangerous when safety is disregarded. Be careful out there!